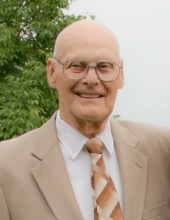 Alfred C. Byrnes, 89, resident of Mont Vernon, NH died on January 14, 2019 after a brief illness. At Al’s request there will be no services. A private Celebration of Al’s Life will be held by the family at a later time. In lieu of flowers, donations in his memory may be made to the American Cancer Society. A private Celebration of Al's Life will be held by the family at a later time. "Email Address" would like to share the life celebration of Alfred C. Byrnes. Click on the "link" to go to share a favorite memory or leave a condolence message for the family.